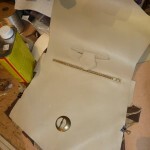 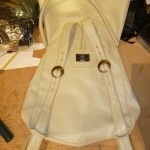 Some of our clients are vegans and vegetarians who prefer an alternative to wearing real leather. 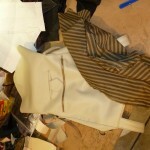 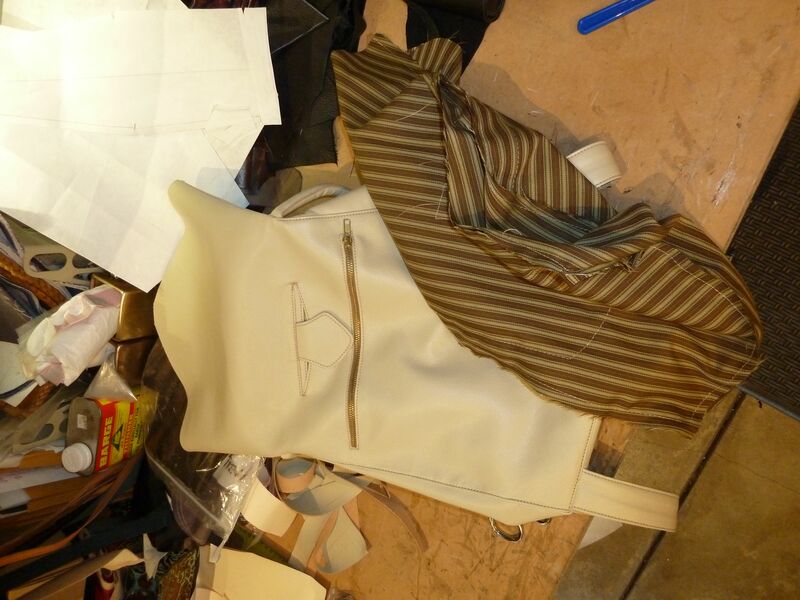 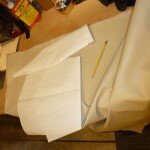 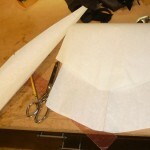 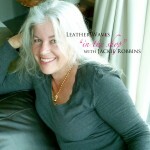 There have been many strides taken in textile industry to create fabrics that look like leather. 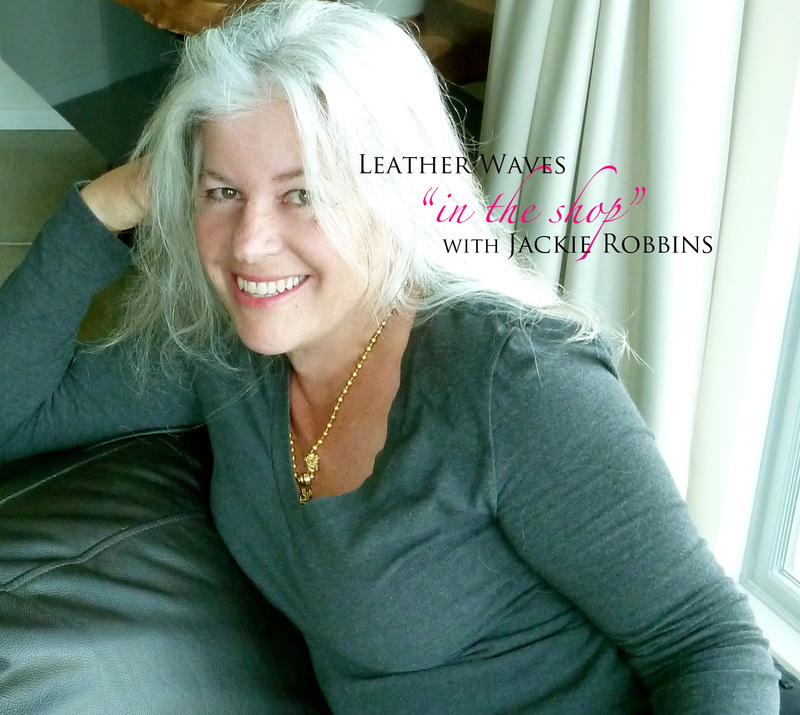 At Leather Waves it’s always my supreme desire to give my clients exactly what they are looking for, so in 2010 I created a new and additional label called “no-animal”. 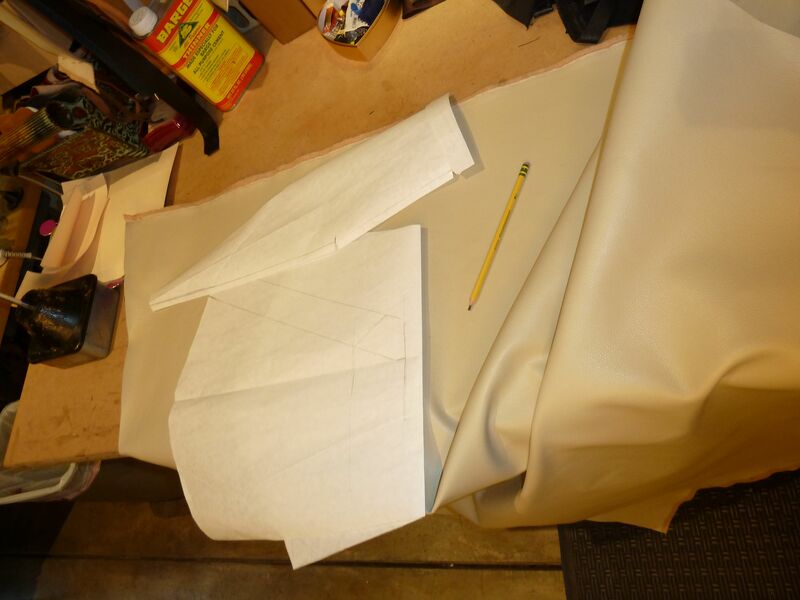 My goal is to produce my leather designs in an alternative fabric that mimics leather, as an alternative to our awesome leather designs. 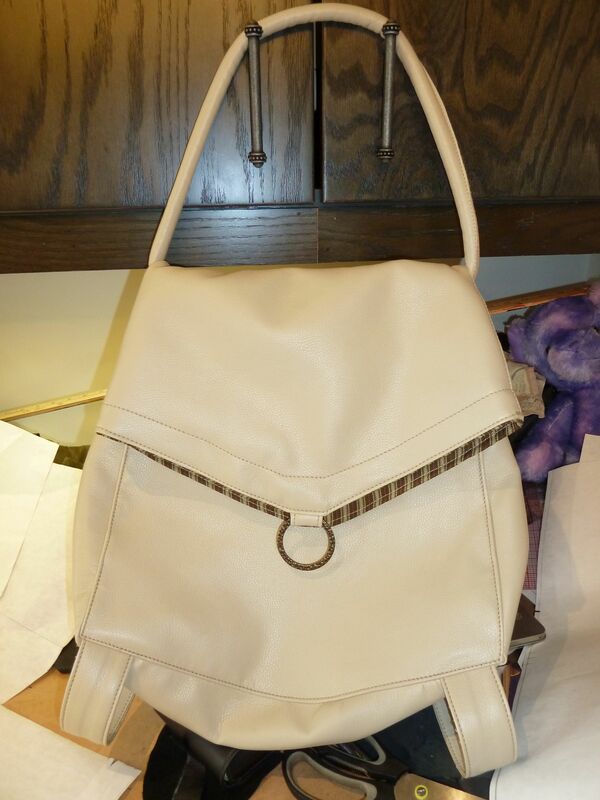 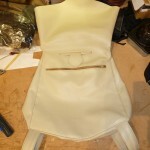 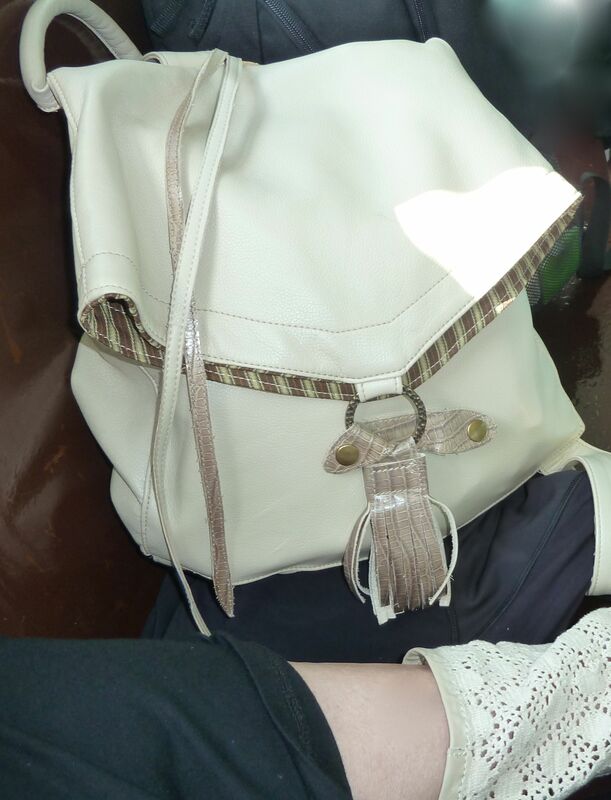 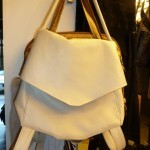 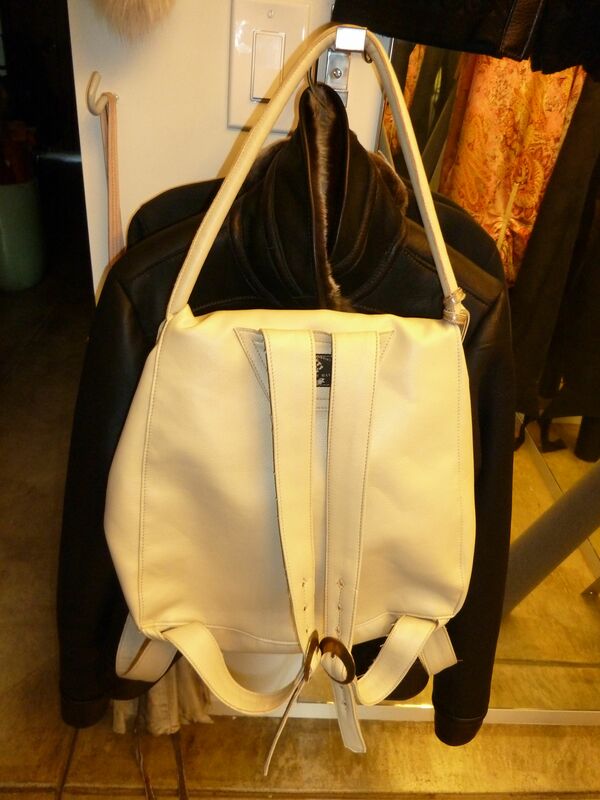 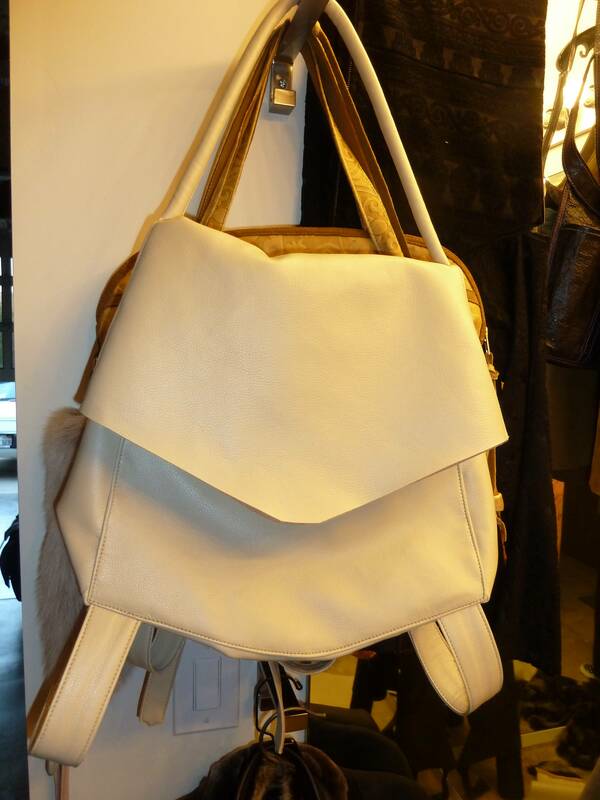 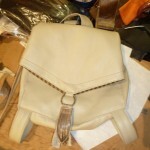 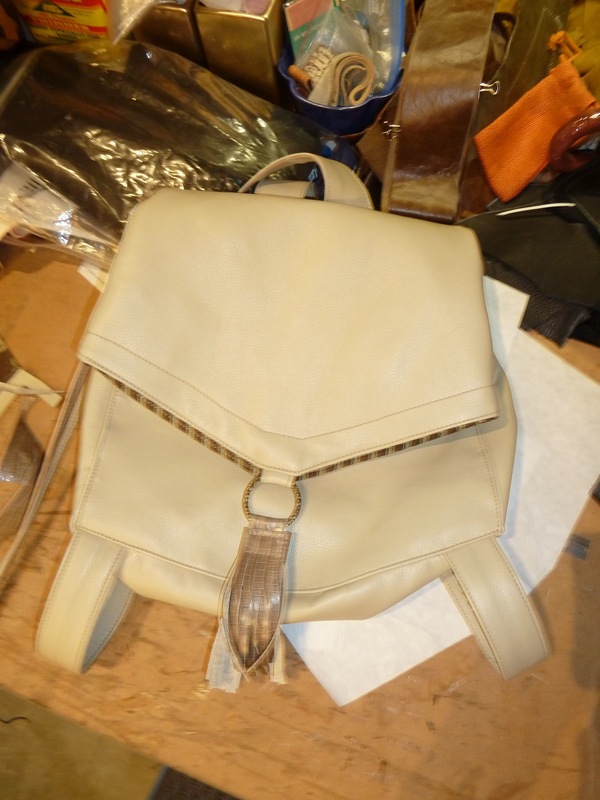 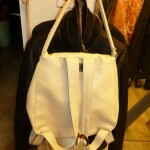 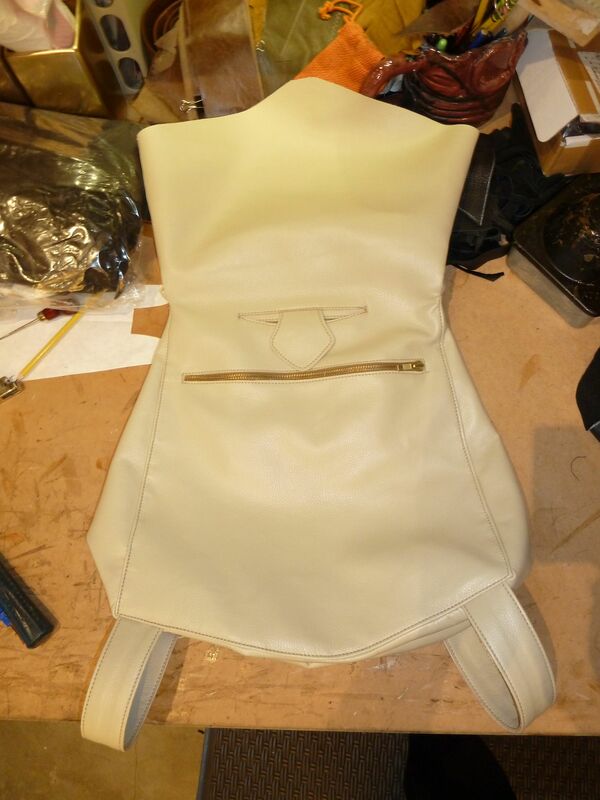 In these photos see a “no-animal” leather backpack that can also be worn as a shoulderbag. 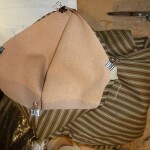 It has a funnel neck that folds over and snaps down. 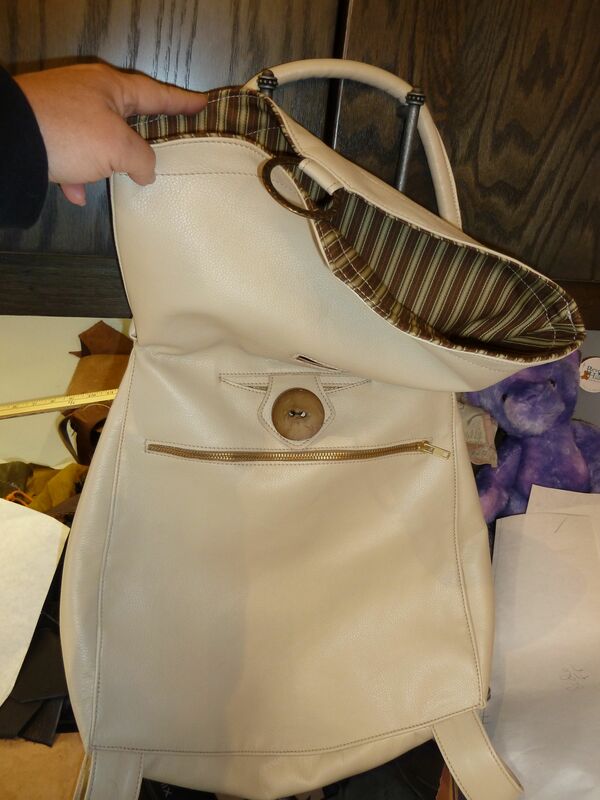 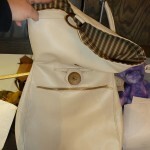 A cell-phone pocket and zippered area as well as interior Velcro-ed pockets make this a very organized bag. 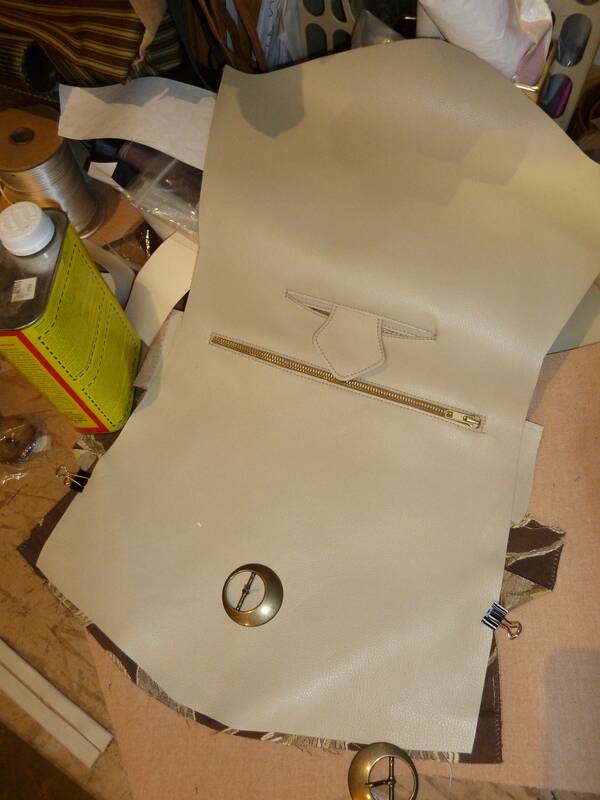 Metal antique brass fittings are used as buckles, and zippers. 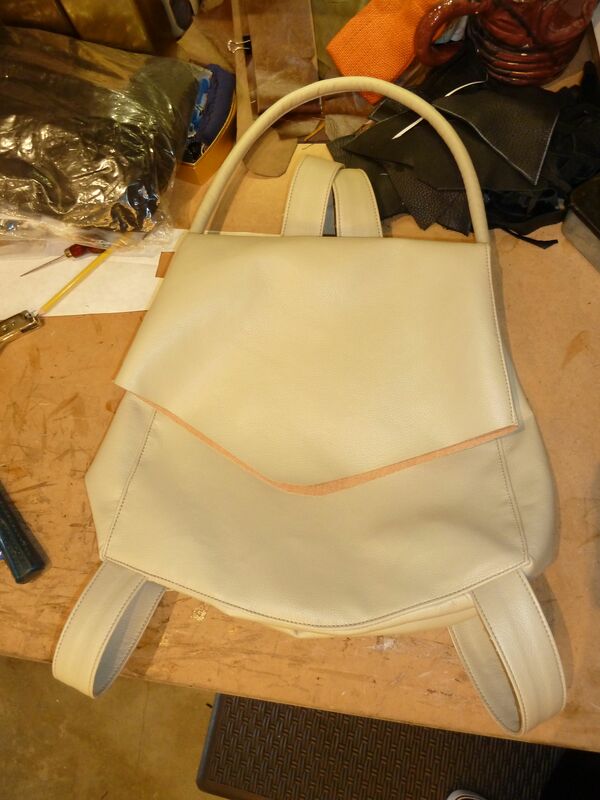 I’ve designed the bag with a strap to hang over one shoulder as well as the typical shoulder straps that turn it into a backpack. 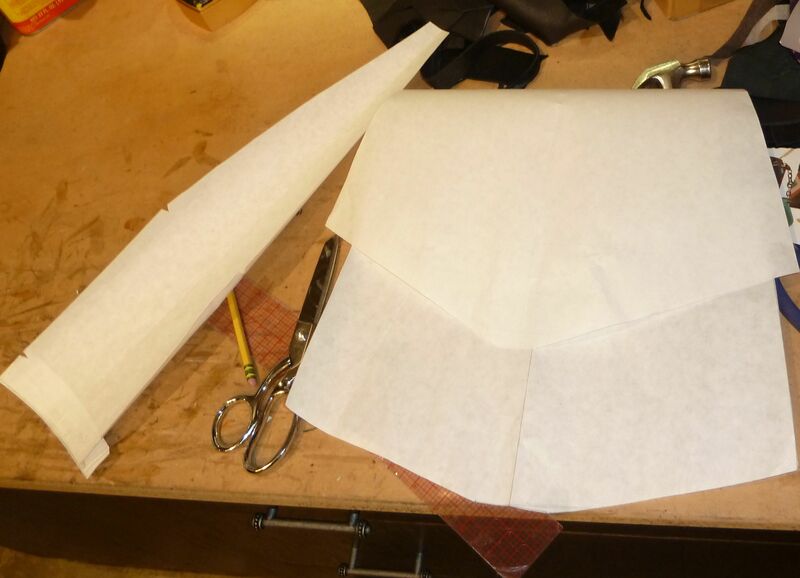 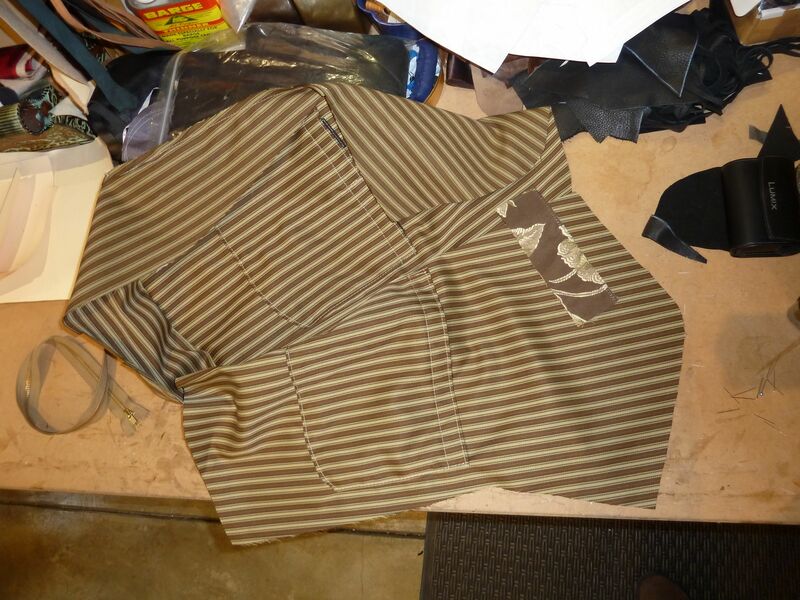 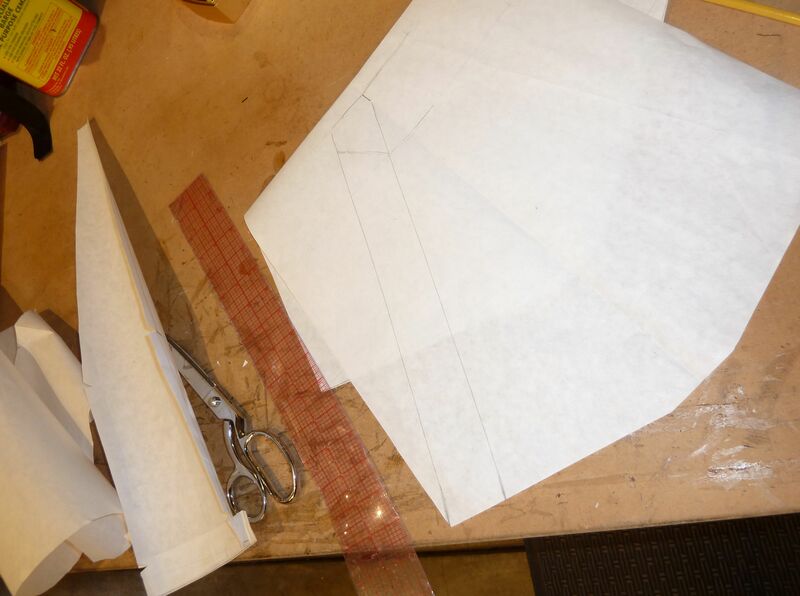 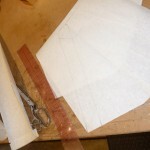 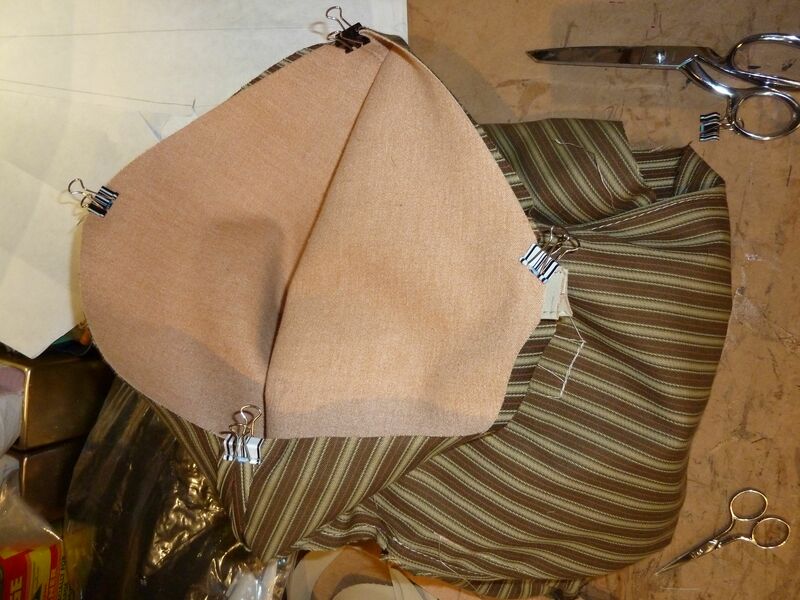 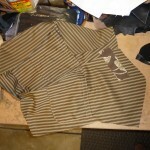 A stripped broadcloth makes up the lining with a color matching flower print textile for the pocket linings. 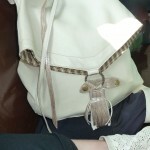 I tried a button to keep the funnel flap down but found that a tassel on the brass ring worked better, I eventually add a snap fitting to hold the ring down that makes the bag secure when wearing as a backpack. 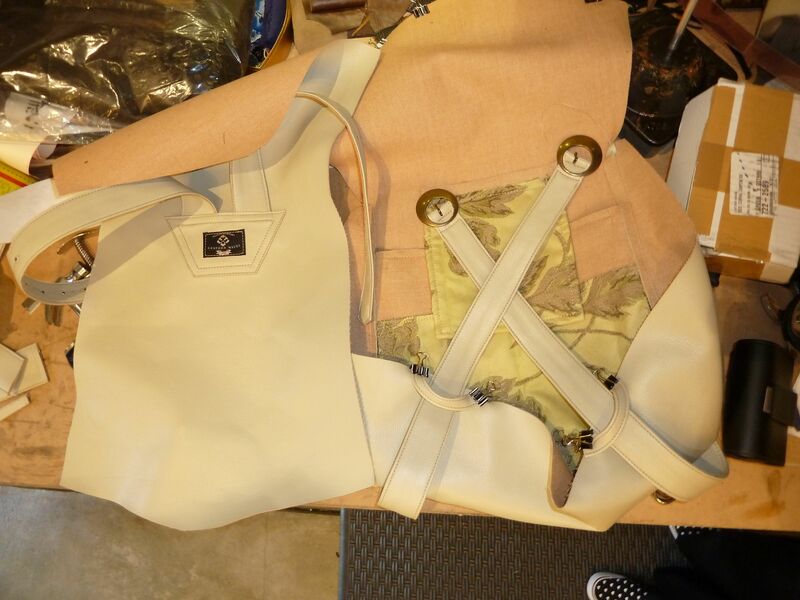 The way the straps on the back are made they run through a keeper on each side so that you can carry a sweater or jacket tucked underneath the bag. 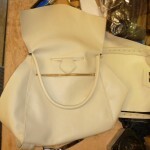 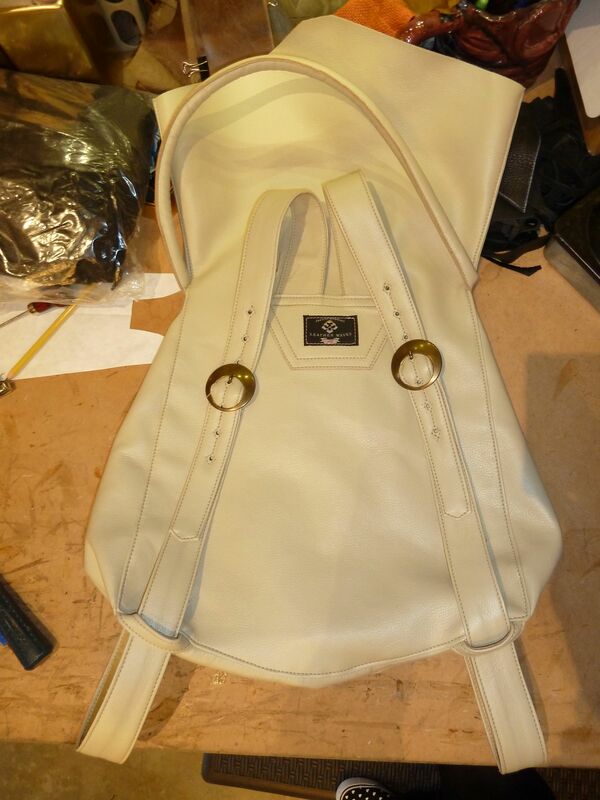 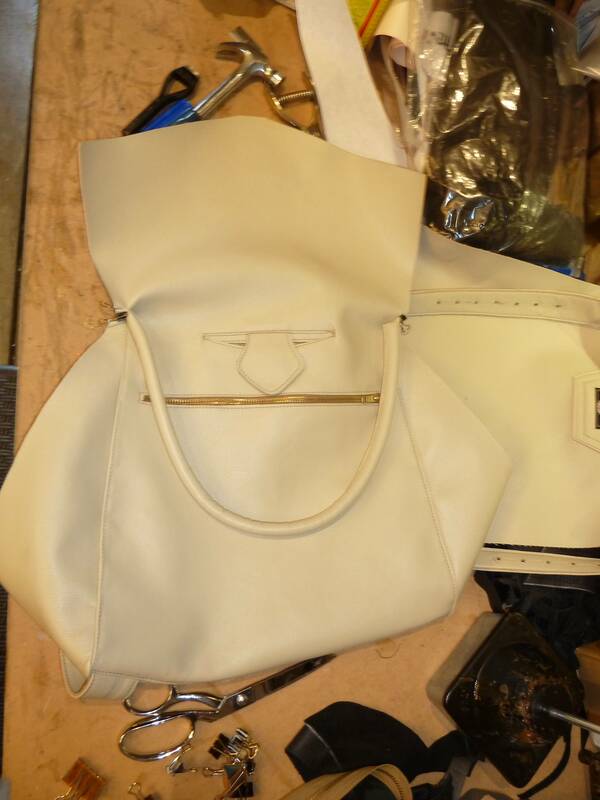 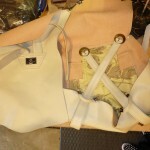 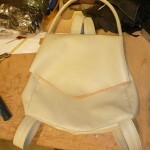 This bag is for sale by custom order in our online store.